Bearing PV Value Calculation - CSB Sliding Bearings India Pvt. 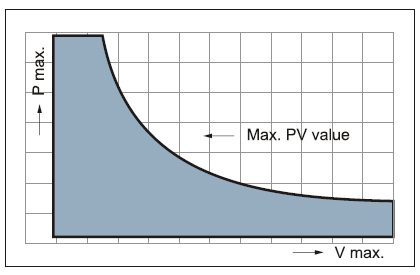 Ltd.
As the sum of products of a bearing under the conditions of certain loading and linear velocity, PV value is inversely proportional to the service life of the bearing, so lower safe PV value is suggested to be used during design to ensure longer service life of the bearing. 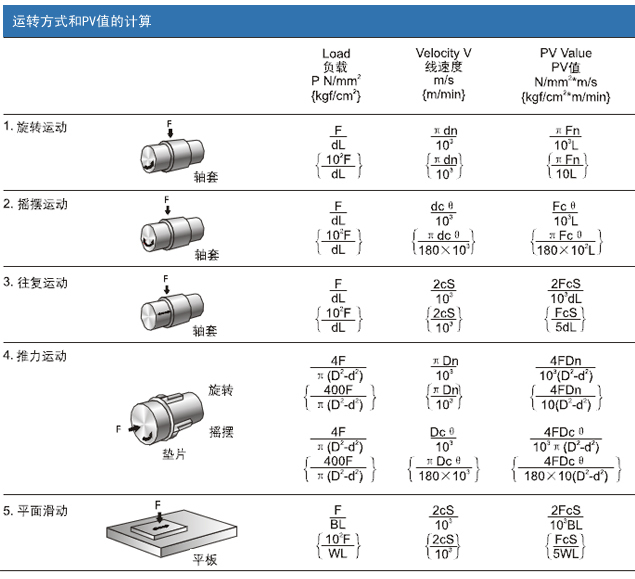 Although PV values of different materials are defined in the sample, these are measured under the condition of radial rotation, as a matter of fact, designers need to consider many factors when designing bearing life. Besides, ambient temperature, as a parameter which must be considered, should consider many factors, because fit clearance between bearing and seat hole and fit tolerance between shaft and bearing bore change due to temperature rise.